I can't help but to admire the technical prowess of Malaysian illustrator Monica Lee. 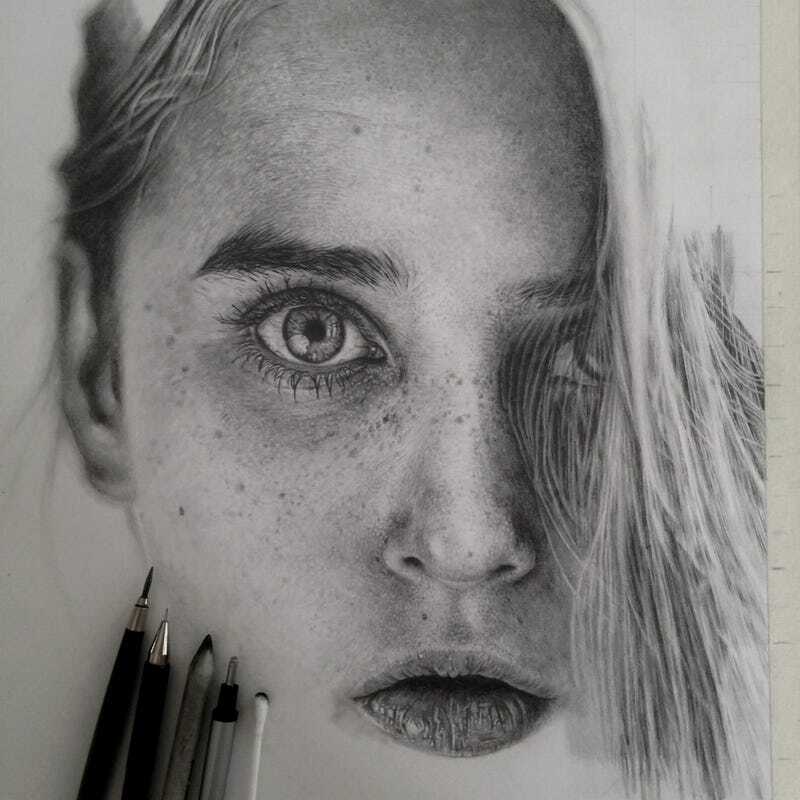 Whether you are a fan of photorealistic art or not, and independently of the grid she uses to reproduce the photos, it's impossible to ignore her skills. Her control of graphite and paper is complete, like a human photocopier. One of these is a drawing, the other a photograph by Marteline Nystad. Monica Lee is a digital and traditional media illustrator from Malaysia.